'Teen Titans Go! To the Movies' is the film adaptation of a comic spin-off of the old TV series 'Teen Titans'. The young titans are a group of superheroes of the DC world. 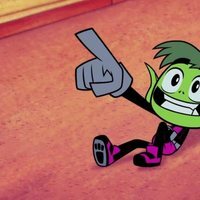 Robin, Cyborg, Starfire, Beastboy and Raven are the main characters of this gang of friends. They are very young to be saving the world, but they use their regular lifes as teens to give a different tone to this superhero movie. In this particular case all they want is to make a film about themselves just like those great heroes they adore. They go to Tinsel Town with the intention of making that dream come true, but it when their plans doesn't go as planned. They will have to save the earth! As the voices of the original version we will have Scott Menville, Khary Payton, Hynden Walch, Tara Strong y Greg Cipes. 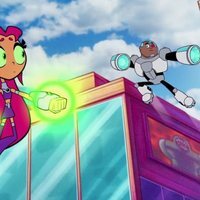 Write your own 'Teen Titans Go! To the movies' review. 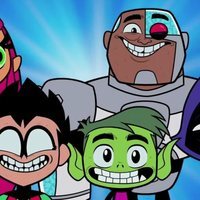 It's the first 'Teen Titans' series to get its own big screen feature film. ¡Congratulations! It is the third animated film made by Nicolas Cage with Warner Bros after 'The Ant Bully' (2006) and 'Astro Boy' (2009). 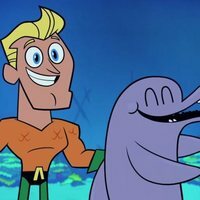 It was the second superhero movie made by animation released in 2018 after 'The Incredibles 2'.